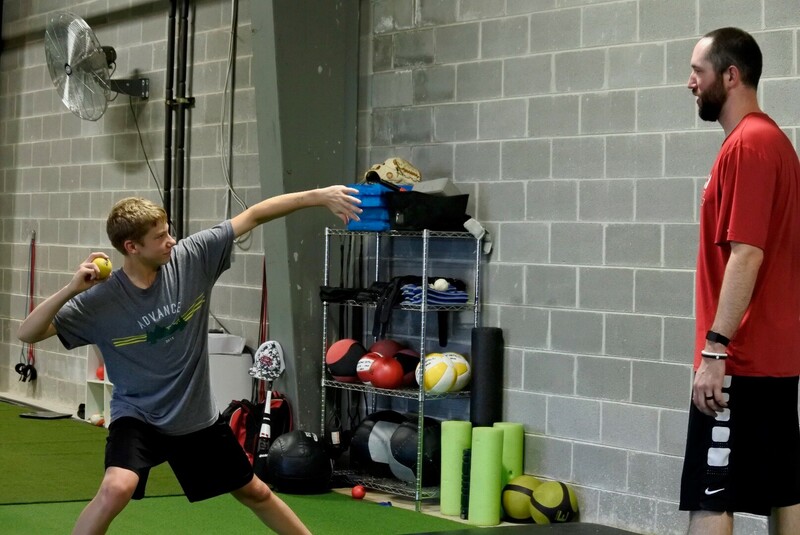 Kyle Brady spends his day giving pitching lessons to young athletes, like Rhys Thomas. Kyle Brady, 31, is a former professional baseball pitcher who now owns a Knoxville business where he trains young baseball and softball players. Last April, Brady was finishing up a lesson when he felt a “funny pain” in his collarbone. “I asked him what he thought, and he told me to get it checked out. What could it hurt? So I did another 30-minute lesson. I had my dog with me, so I took my dog all the way back home, and then finally drove myself to Parkwest Medical Center that evening,” said Brady. He arrived at Parkwest around 8 p.m. and saw emergency physician Rodd Daigle, MD. Fortunately for Brady, Parkwest is West Knoxville’s premier medical facility and a top-performing heart hospital, with state-of-the-art imaging capabilities in the emergency department especially for heart and stroke events. The aorta is the main blood vessel leading away from the heart. In Marfan syndrome, the aorta can grow unusually large, causing it to tear. This is called an aortic dissection and is a life-threatening event. “The typical description of aortic dissection is a sudden radiating pain in the chest and tachycardia (a fast heart rate over 100 beats per minute). The patient usually looks to be in significant distress,” Dr. Daigle said. “But Mr. Brady had none of those appearances, and in fact walked into the room and was watching TV when I went to examine him. Dr. Daigle ordered a chest X-ray and an EKG (an electrocardiogram test to measure the heart’s rhythm). Both were normal. He then ordered an extra test called a CTA, which stands for computed tomography angiography. A CTA scan is a special kind of CT exam that focuses particularly on the blood vessels of the neck and chest, using a contrast material to make them show up clearly in the images. The test found an abnormality in Brady’s ascending aorta. Brady called all his family and wife, Allison, who was out of town at the time. Dr. Didolkar replaced Brady’s ascending aorta, saving the valve. After a week in the hospital, Brady went home, and began several months of cardiopulmonary exercise classes at Parkwest Cardiac Rehab at Fort Sanders West to get his strength back. Today he is back at work, running the business he started just last February. ”I feel pretty good, and for the most part I’m back to normal,” said Brady. “I’m up and throwing during most of my pitching lessons, and exercising to stay in shape. “I’m able to do most things. It’s day-to-day. I got back to 80 percent pretty quickly; the last 20 percent will take a while,” he said. For more information about Parkwest’s emergency and cardiac services visit TreatedWell.com or call (865) 374-PARK.